A Francophile businesswoman wanted a couple of rooms designed for her Tudor Revival house in St. Francis Wood. 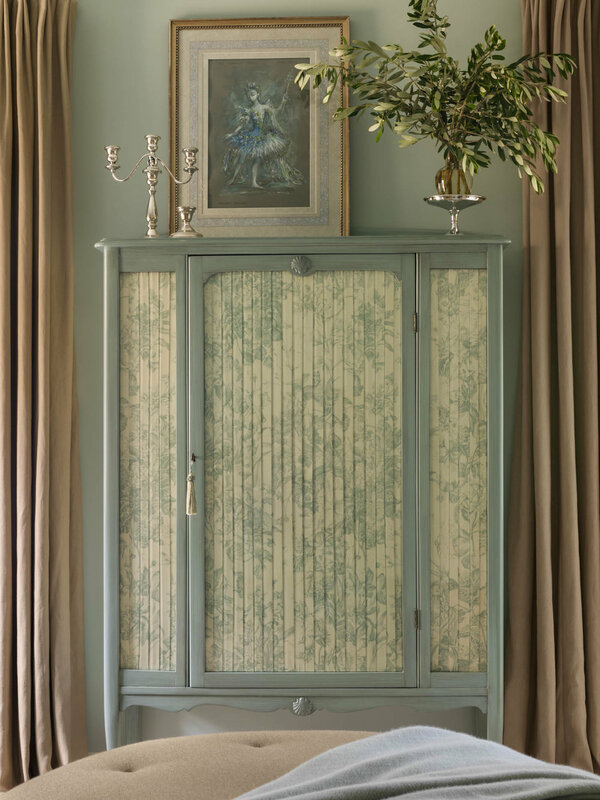 Because the homeowner’s family emigrated from France to New Orleans in the 1860s, there were several generations of heirlooms to integrate into the rooms. 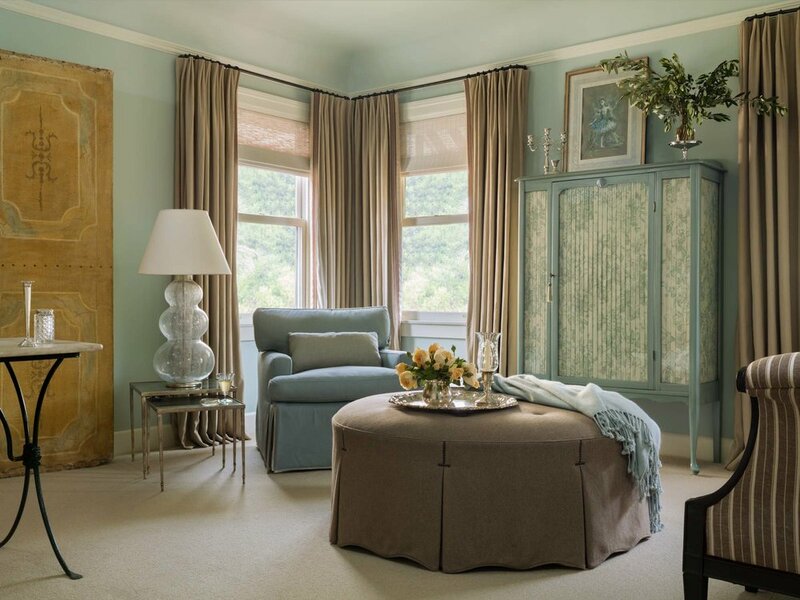 Martin Young Design accomplished this with an elegant, feminine salon, and an equally stylish but more masculine study. For the shell of the rooms, color stories give each space a separate identity while providing visual continuity. In the salon, a pale robin egg tint for the walls conveys a sunlit ambiance. 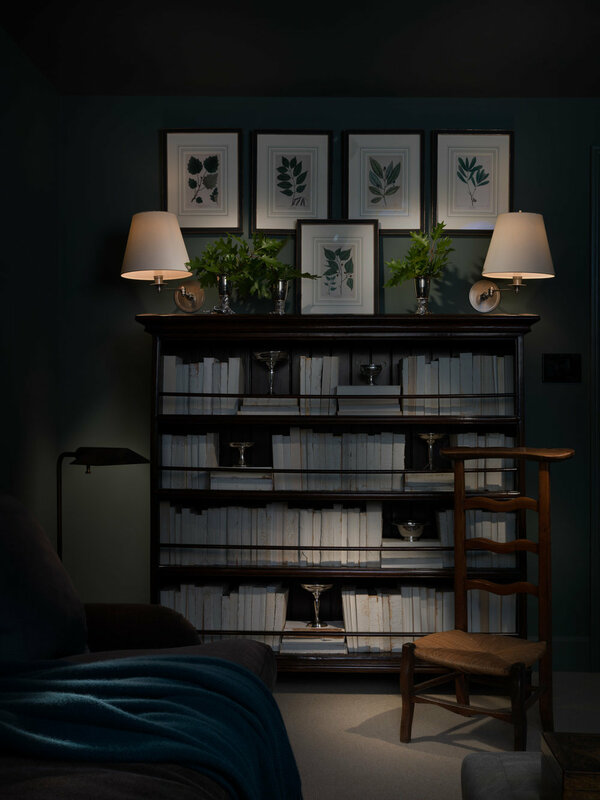 In the study, a deep library green shade is reminiscent of Louisiana architect A. Hays Town's work. 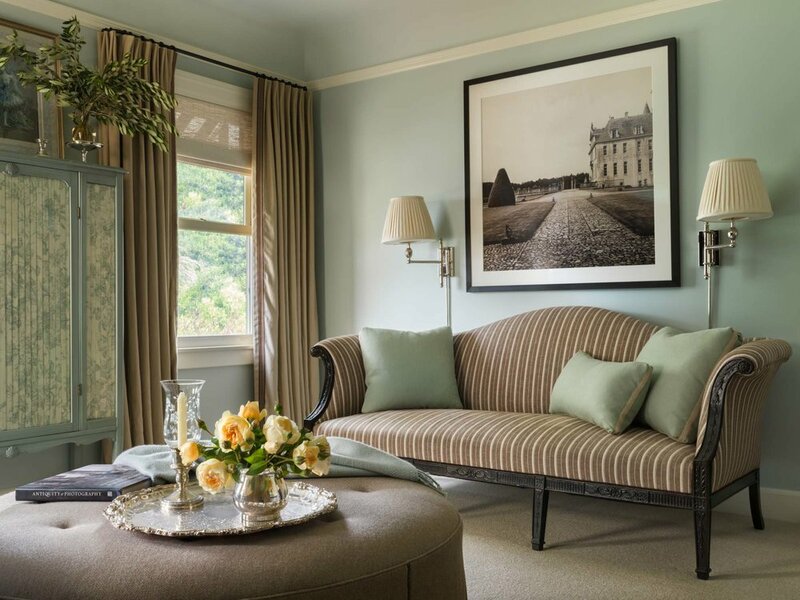 Both environments share luxurious upholstery fabrics and window treatments; mohair, cashmere, and classic prints.